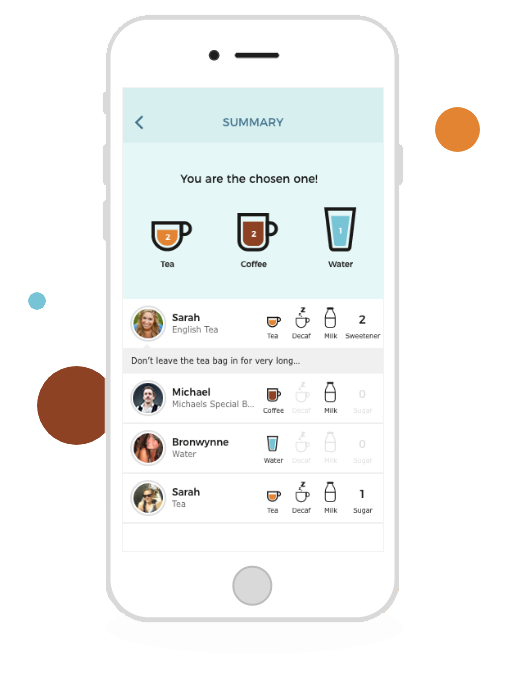 Tea Minus is a free app for Android and iOS that allows teams to take the stress out of the office drink round. 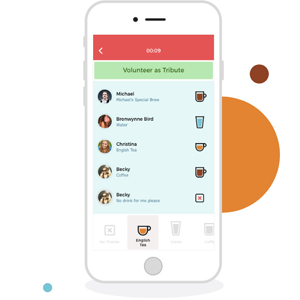 Load up the app, start a drink round and your team will be notified so they can add their drinks. 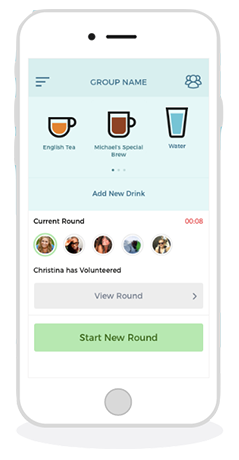 After three minutes the round ends and the app chooses the drink maker. 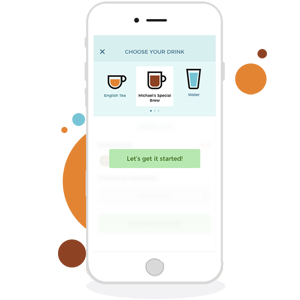 The drink maker will be given a handy list of drinks to make along with the team’s unique preferences. 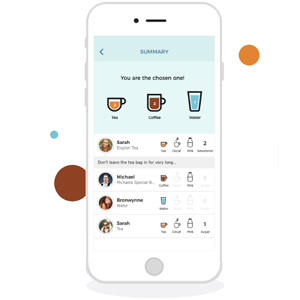 Start a drink round with your team and let Tea Minus do the rest. Tea Minus notifies the team that the drink round has started. 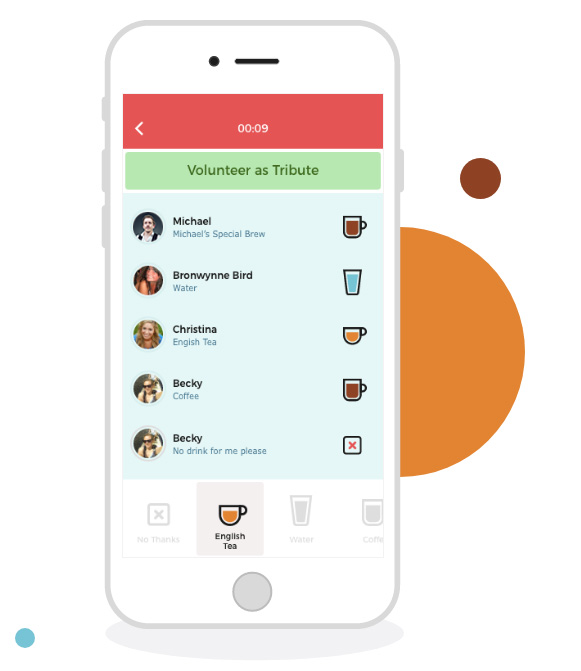 The clock is ticking, who will get their drink choice in before the time is up? Times up! Are you the chosen one? 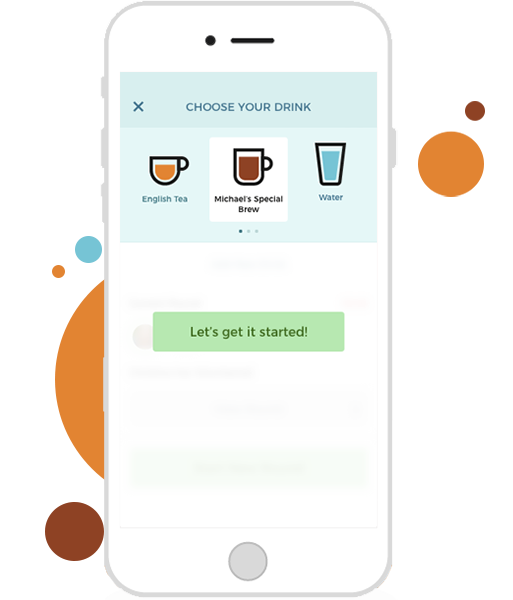 The drinks maker will receive a handy list of drinks to make along with everyone’s preferences.